Attention wonderful people of Boston, Massachusetts who are attending the 2018 American Speech-Language-Hearing Association Convention. 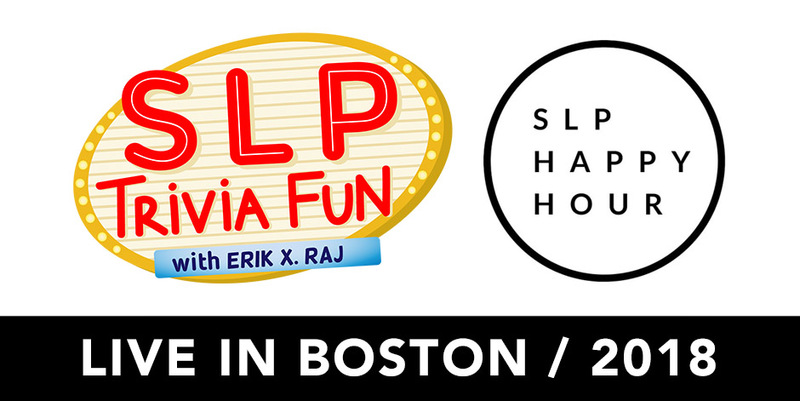 If you’re a fan of SLP Trivia Fun and you’ve ever wanted to be a part of the audience during a taping of my podcast, well here’s your chance! It’s happening this coming November, baby. The first 100 people who come on out to this free podcast event will get an exclusive podcast swag bag fill with a bunch of awesome stuff! The swaggy baggys will be filled with stickers, pins, and so much more. You’ll love ’em, trust me. I really hope you can make it out. And I’m not just saying that to say it. I mean it. I want to see your smiling face in the audience because it would make me the happiest game show host in the history of game show hosts. Ya know what I mean? So, do me a favor, shoot me an email and let me know if you plan on going. Thanks and looking forward to seein’ ya there! 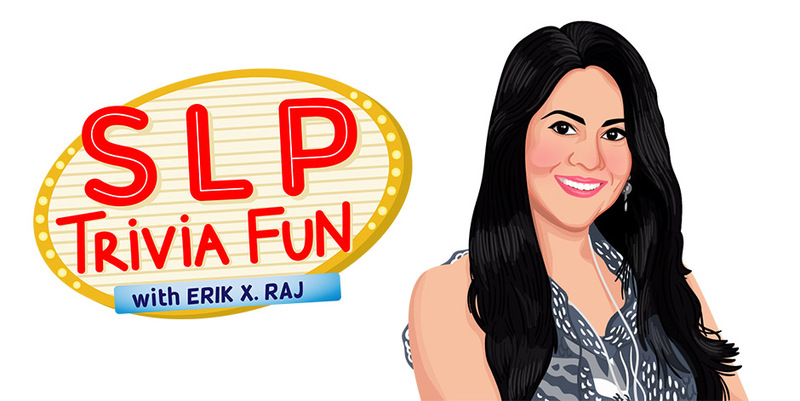 Topic: Podcast | Visit my blog archive for more! Did you know that August is National Coffee Month? Oh yes, it is. And we all know how much us clinicians love our coffee. So, it makes total sense that on this 8th episode of SLP Trivia Fun, we went all in on coffee – that magical beverage that brings so much joy (and energy) to the field of speech-language pathology. Joining me on this coffee-themed episode is not one but two speechie coffee fans, Sarah Lockhart and Sarie Wu from Ashland, Oregon. 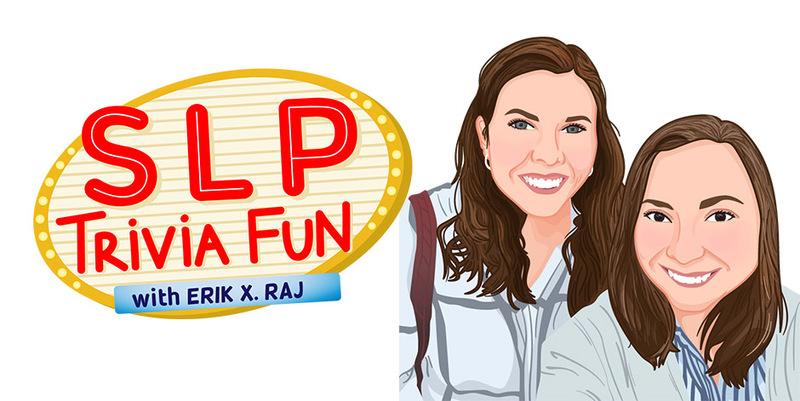 When those ladies are not doing spectacular speech-language therapy with their clients, they host a spectacular podcast called SLP Happy Hour that you have to check out! How much is the world’s most expensive coffee? What is the only state in the United States that produces coffee? How many times has coffee been banned before? Why has coffee been banned before? And loads and loads more! So, here’s what you gotta do – grab a cup of your favorite joe and give this episode a listen. From start to finish, you’re going to be a fan of it. I promise. Cool? Cool! As any clinician who works with children will tell ya, games are one of the best ways to to connect with children. And through that connections comes numerous opportunities to work on speech and language goals and objectives. So with all of that in mind, that’s exactly why in this newest episode, all of the questions have to do with board games. When was the game Twister invented? What was the original name of Twister? How did the game Operation get invented? Who invented the game Uno? This episode contains a ton of chuckles between a pair of clinicians who truly love all things game-related. So what are you waiting for? Give this episode a listen. And as always, please let me know what you think. It’s June, and for all you clinicians that work in a medical setting, you know that June is National Dysphagia Awareness. So with that in mind, episode number 6 of SLP Trivia Fun revolved around the topic of swallowing. I was lucky enough to be joined by my good friend Rinki Varindani Desai who is a clinician that really knows her stuff, with regard to dysphagia. Also, Rinki is the co-founder of the Swallowing Training and Education Portal, also known as STEP, so that right there shows ya that she TOTALLY knows dysphagia. Let’s chat about some world records, baby! How long is the world’s longest tongue? How many tongue piercings does it take to hold the title for having the most tongue piercings? You won’t believe some of the world records we talked about. 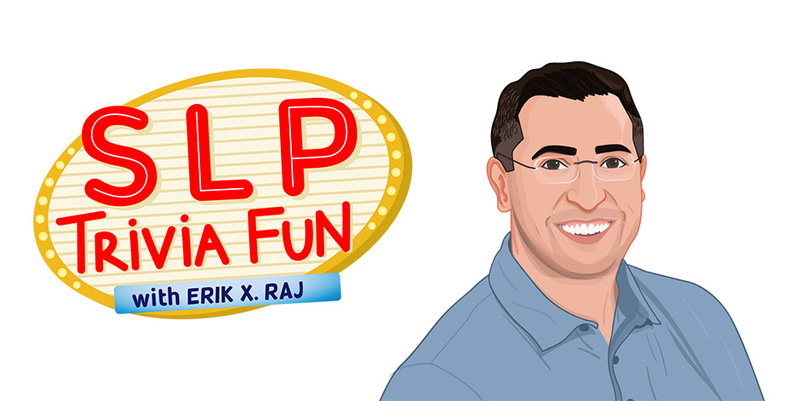 And hey, if you every wanted to learn how to speak Hindi, you’ll find this episode especially interesting. I don’t want to give TOO MUCH away, but yeah, we did speak a bit of Hindi during the episode. So what are you waiting for? Give episode number 6 a listen HERE and let me know what ya think of it. Thanks! You’re the best!